I am from Jeddah in Saudi Arabia. 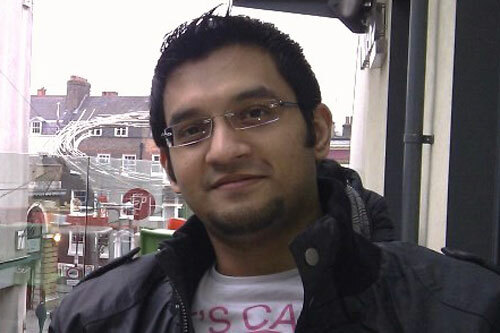 I study MSc Renewable Energy & Power Systems Management and completed my course in October 2012. My course underlines technical aspects of power generation/transmission, as well as renewable energy management. My favourite aspect of the course was the core modules that were delivered by 'UK Power Networks' experts supported by real time drills and visits to industries. Highly professional lectures, high quality labs, a resourceful library and maximum research facilities has definitely provided me with in-depth knowledge of power generation and renewable energy. I am working as an Application Engineer for Caterpillar Inc. My primary job role is to design, test and commission the temporary power plants (up to 100 MW) using CAT Power Generators and auxiliaries. Another aspect of my job emphasises on Solar PV Renewable Energy. This includes, designing, integrating and commissioning of solar energy plants using advanced Interver technology for commercial applications.